The House and Senate passed legislation which would provide back pay to federal government workers who were affected by the partial government shutdown. On Friday, the House approved the legislation in a 411-to-7 vote after it was passed by the Senate Thursday. The legislation will now need to be signed by President Donald Trump for final approval. However, the legislation is specifically for workers who are working with unpaid status during the partial shutdown, not for those on furlough. Those who worked during the shutdown and have not been paid will receive back pay when the government is funded, according to The Washington Post. In the past, furloughed employees (those who did not work) have also been paid for the days of work they missed due to the shutdown. “I had an opportunity to talk to President Trump a few moments ago and wanted to indicate to our colleagues that he will sign the bill that we have been discussing here to guarantee that government workers who have been displaced as a result of the shutdown will ultimately be compensated. 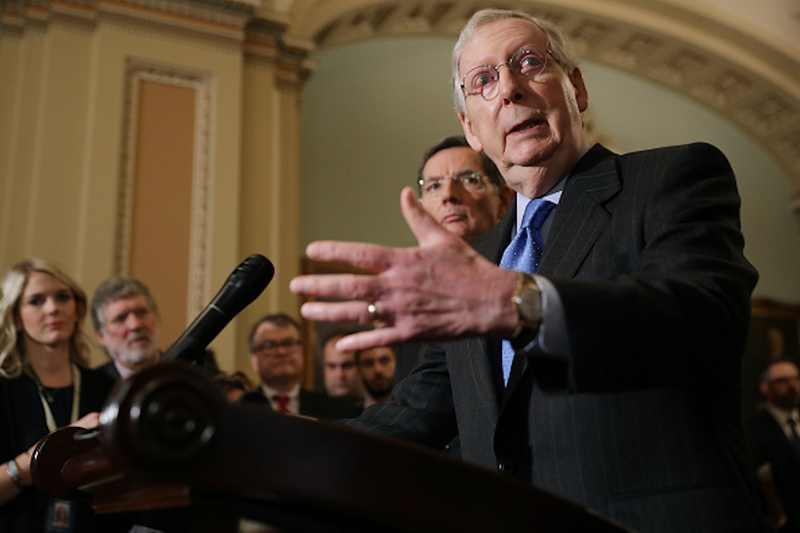 So I want to ease their anxiety about that particular possibility,” Senate Majority Leader Mitch McConnell said on the floor Thursday before the bill passed with unanimous consent. Other Republicans, such as South Carolina Republican Sen. Lindsey Graham have asked Trump to declare a national emergency in order to build a wall on the southern border after meeting with him Friday. Trump warned Democrats he might declare a national emergency if they cannot come to an agreement soon.